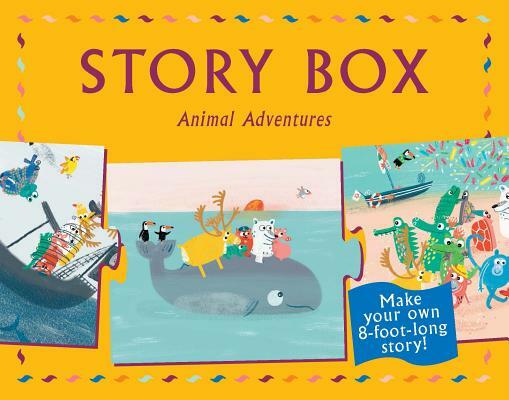 Create your own tales with some adventurous animals! Based on a unique and award-winning format, this game contains 20 storytelling puzzle pieces printed on both sides. Each piece can be interchanged or flipped over to allow for all kinds of plot twists and turns, and there are three alternative endings! A polar bear sets sail for the Caribbean and meets animal pals along the way. But can you stop evil pirates from ramming the bear's boat? And how will the group reach the tortoise's birthday party while there's a tornado brewing? Tell a different story each time you play! Claudia Boldt grew up in Cologne, Germany, and moved to the UK to study at the Glasgow School of Art and then Kingston University. Her illustrations appear in many newspapers and publications, and she has written and illustrated a number of books – most recently for Tate Publishing. She is the recipient of a Booktrust Best New Illustrator award and her work has been shown at the Bologna Illustrators Exhibition. Her absolute favorite animals to draw are sausage dogs.